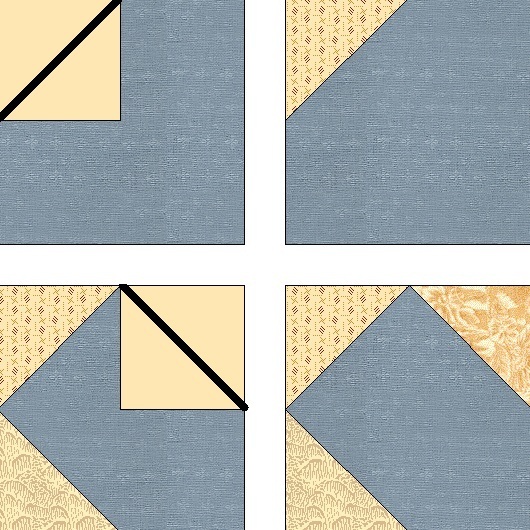 Cutting Instructions: For a pleasing scrappy look, be sure to use several fabrics. Sew on drawn line. Cut 1/4" seam allowance, flip, and press to Background. Repeat in 2 more corners, as shown, being careful of color placement. Square up to 3 1/2" if needed. 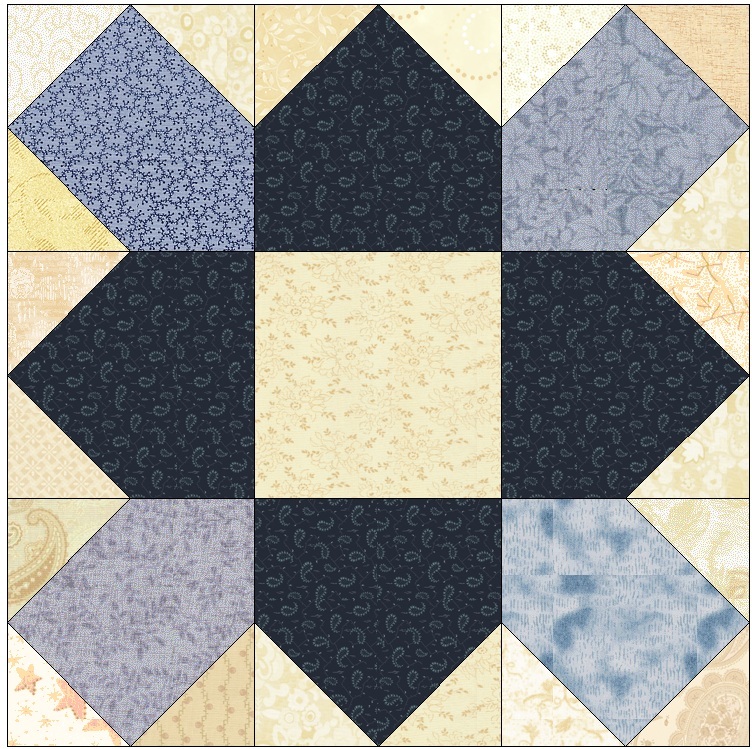 Repeat above process using (2) 2" Background squares and (1) 3 1/2" Dark Blue square.